The winners of the Food Storage and Distribution Federation's (FSDF) 2014 Health and Safety Awards have been announced. The Best Individual Contribution to Health and Safety Award was won by Mr Maurice Young from Maurice Young Consulting, who has been instrumental in driving the FSDF’s health and safety programme forward. The winner of the Outstanding Contribution to Health and Safety by a Company Award (Full Member category) was Martin Brower for its ‘Think Safety – Work Safely’ initiative, which has helped to encourage its entire workforce to be safety conscious and of the mind that they are all responsible for each others safety. The winner of the Associate Member category was Munters for its IceDry product, an innovative frost free dehumidification system which removes airborne moisture, reduces ice build up and fogging and greatly reduces accidents in cold storage areas. 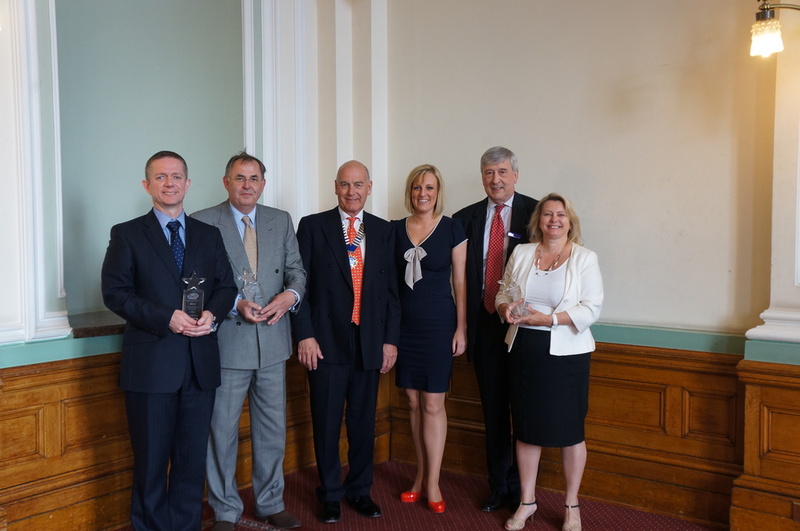 The awards were presented by Richard Dawson of Citation Professional Services, sponsors of the Health & Safety Awards at the FSDF Annual Lunch which was held at Birmingham City Council House.